OREGON STATE Vending Machine Companies! 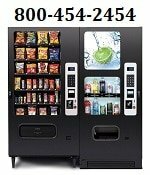 Offering Free vending machines: Snack, Soda, Coffee, Deli, Food, Healthy Vending, Micro Markets, Amusement Games, Repairs and more for your employee breakrooms. Action Vending & Office Coffee Services, Our company is Based out of Grants Pass, Oregon. Americas Vending Depot USA– We are a highly rated Vending Company that sells “As is”, Used & Refurbished Vending Machines USA! Including: Food, Drinks, Snacks, Ice Creme, Coffee and Late model machines with credit card readers available. We Refurbish Vending Machines & include a 6 months warranty! We also repair machines, move them and ship your machines directly to you in USA! We now offer you NEW VENDING MACHINES!!! Authorized distributor for AMS, Conlux, Coin Co, Royal, and Vendo machines. Courtesy Vending – Full Line Vending Machines Services. Centered on Portland, Oregon our vending service area extends North to Woodland, Washington, South to Woodburn, Oregon, West to Forest Grove, Oregon, and East to Sandy, Oregon. Fred Lea Distributing – Offering Full line vending machine services, free vending machine placement! Our company is based out of Salem, OR. McKenzie Vending – Snack, Food and Office Coffee services, based out of Springfield, Or. Mt. Hood Distributing – Amusement and Vending Machines, Based in Gresham, Oregon. Northwest Automatic Vending Association (NAVA), a regional council chartered by the National Automatic Merchandising Association, is an independent regional trade association of vending machine operators, suppliers, distributors, brokers and manufacturers. Pacific Coast Vending & Arcade Repair is the only company that you will ever need to provide the excellent service of repairing your vending machines to excellent working condition. We Service Southwest washington and Northern Oregon since 1955! We also offer preventative maintenance contracts to keep your equipment maintained and running at their best capability. Royal Vending is Portland, Oregon’s vending provider of choice for more than 10 years. We offer vending machines, micro-markets, soda, beverages, vending, vending snacks, office coffee or office coffee service, coke vending machines, Pepsi vending machines, and food vending machines. Royal Vending is the largest locally owned family vending business that is fully licensed, insured and provides quality service for the Portland, OR area.